Oxford University researchers are measuring how their smart glasses can help people with limited vision navigate and avoid walking into obstacles. ‘The idea of the smart glasses is to give people with poor vision an aid that boosts their awareness of what’s around them – allowing greater freedom, independence and confidence to get about, and a much improved quality of life,’ says Dr Stephen Hicks of the Nuffield Department of Clinical Neurosciences at the University of Oxford, who is leading the development of the glasses. ‘We eventually want to have a product that will look like a regular pair of glasses and cost no more than a few hundred pounds – about the same as a smart phone,’ he adds. The smart glasses consist of a video camera mounted on the frame of the glasses; a computer processing unit that is small enough to fit in a pocket; and software that provides images of objects close-by to the see-through displays in the eyepieces of the glasses. The transparent electronic displays, where the glasses’ lenses would be, give a simple image of nearby people and obstacles. The camera with specially designed software interprets the nearby surroundings allowing people to see important things much more distinctly than before, such as kerbs, tables and chairs, or groups of people. The glasses don’t replace lost vision but assist with spatial awareness. Anyone using the glasses looks through them to make the most of their existing sight, with additional images appearing in their line of sight to give extra information about who or what is in front of them. In some cases, details such as facial features can become easier to see – making social interaction more natural. The glasses work particularly well in low light and can be used to cope with night blindness. Dr Hicks’ team has set up testing venues in Oxford and Cambridge where they can control the lighting and introduce obstacles to avoid. Participants are tracked as they navigate through obstacle courses, with and without smart glasses. The study will involve 30 volunteers with poor vision. The group is also beginning to see how people respond with the glasses in indoor spaces like shopping centres. Lyn Oliver and guide dog Jess tested out the glasses in Oxford’s Covered Market. 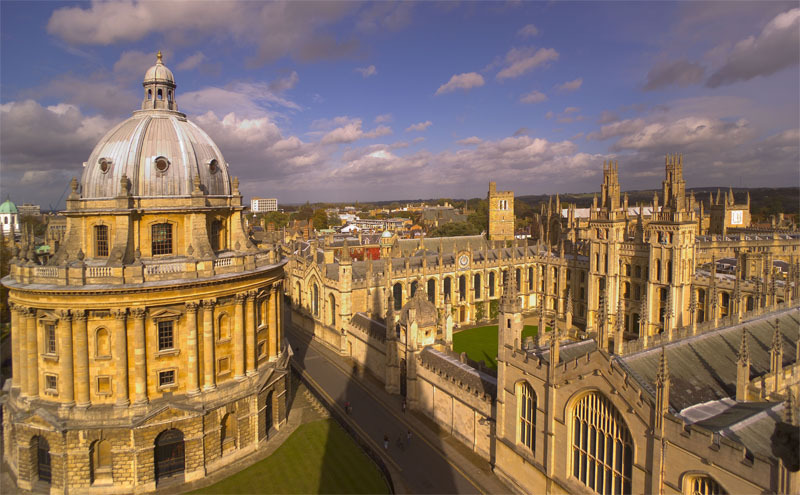 The Oxford University researchers carried out preliminary tests last year of an earlier prototype with 20 volunteers having a range of eye conditions and levels of vision. They found that people could quickly get used to the glasses, and it was the third of people with the lowest vision that really found benefits in using the glasses to get around and avoid obstacles. There are roughly 100,000 people in the UK alone with this low level of vision and who could potentially benefit. The research and development of the glasses is funded by the National Institute for Health Research (NIHR). The trials are being carried out with the support of the Royal National Institute of Blind People (RNIB). The group has been awarded further funding from the Royal Society to look at introducing more features into the glasses, such as face, object or text recognition. An audio prompt via an earphone would give people more information about who or what they are seeing.